Start by setting your preferred currency from the available options. Click on the currency dropdown at the top-left side of the screen. On mobile tap to open the menu then choose the Settings tab. Delve in, browse and find amazing products you’ll love. Browse thousands of select top products for home improvement, home décor and smart home tech that will make your life better. Add products to your cart by clicking the green “Add to Cart” button (or button with cart icon on mobile). You’ll see calculated shipping costs for the products in your cart. 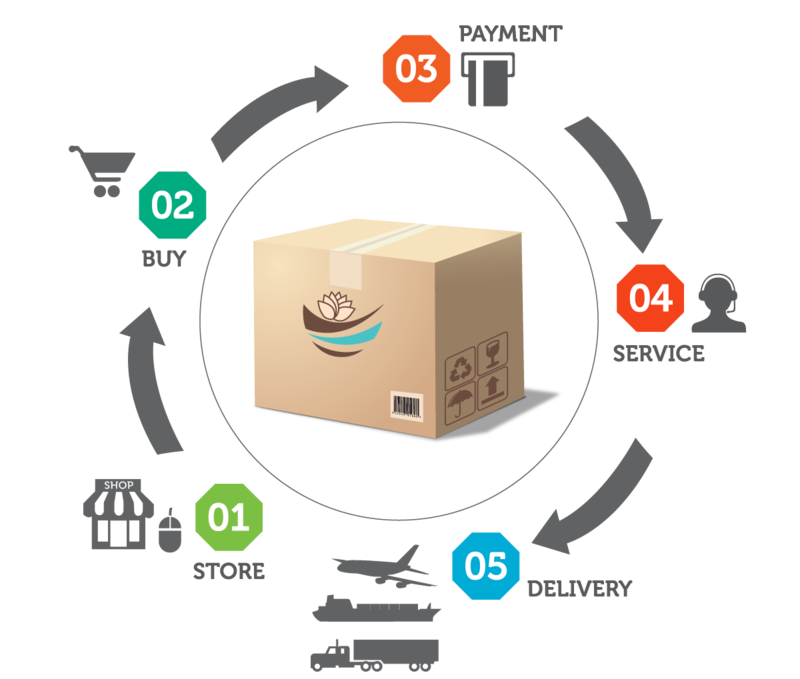 Read more information about International Shipping. When done shopping, click on the cart icon (or from your cart page) > select “Proceed to Checkout"
Smooth user experience and borderless trade are our guiding stars. In line with these, we offer a variety of payment methods you can check out with. Payment options are available at checkout. Some payment options are available for specific countries only. Need more information about different payment options? Read more in the Payment Info section. After you place your order successfully you will receive a confirmation email with your order details. Our dedicated customer service team is here for you to provide after-sales support and answer all your delivery questions. If you are a registered customer you can login your account and see your order status, tracking number and any additional shipping details. If you placed your order as guest, you can easily find your order details by filling out the Guest Order Info form. Find your order status, tracking number and details. Received broken / defective product that you want to return? Please, use the Customer Contact form to get in touch. Read more about our Return Policy. Want to know where your order is? You can use your tracking number (not order number) to easily and fast find your shipping status and updates from the carriers - Track your order. Have additional questions that you can’t find answers to? Don’t hesitate to contact us, we’ll answer asap.